👉 Laser treatment of hyperpigmentation in Krakow! Best results! 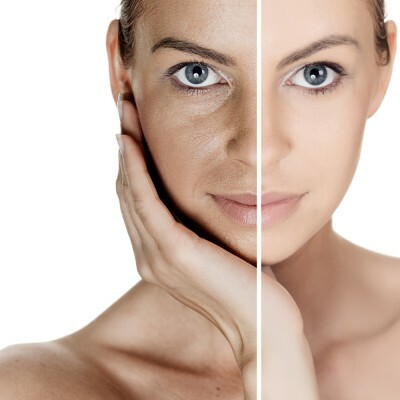 Laser treatment of hyperpigmentation. Discolorations are very hard to get rid of. These marks are the result of disorders of pigment production in skin cells called melanocytes, among others, as a result of excessive exposure to sunlight, liver disease, thyroid, hormonal changes or as a result of taking medications. Discoloration make the skin look older, worn out. Laser treatment of stains removal with 540mm head of Alma Harmony Elite is based on delivering energy into the skin - thus affecting the melanin spots and discoloration and systematically eliminating them. Moreover, the laser also stimulates the skin to produce collagen and renewal. As a result, the skin becomes rejuvenated, color balanced and structure smoothed. Laser Harmony belongs to the leading lasers in the world and its use provides the best results. You can be sure that the treatment will be performed with the highest quality and care for the best results. In order to obtain satisfactory results, it is suggested to receive a series of about 3 to 4 treatments at monthly intervals. Before the treatment, you should avoid taking aspirin, drinking alcohol or using self-tanner. After the procedure sunscreen must be used for two weeks, you should avoid hot baths, sauna and medical peels. Moisturizing the skin should be in line with the recommendations. Currently, one of the most effective methods of stain removal in addition to laser therapy. The product is applied in the form of a mask and contains brightening agents of immediate effect. The continuation of the treatment is a home treatment in the form of a strong cream. The procedure has gained worldwide recognition due to its outstanding performance. New in the range of stains removal. Effective and strong medical peeling lightening pigmentation, gives the skin a uniform color. The treatment is combined with a home cure. Strong medical peeling of lightening effect. It is doing well even with strong discoloration. After the treatment skin gets exfoliated and as a result, rejuvenated and unified. Treatment is extremely effective in combination with 540 Harmony head. This ensures the removal of discoloration and skin renewal and compensation for any changes. A new generation of medical scrubs designed to combat discoloration and post-sun stains. The treatment restores the skin at the DNA level by smoothing it and stimulating renewal. Treatment for mild discoloration and brightening skin tone. Adds shine, slows down aging of the skin and stimulates its renewal. Supporting treatments may be microdermabrasion treatments or SilkPeel. The treatment is selected after direct consultation with a specialist.